"Reliability, Dependability & Credibility of information" is the "Hallmark of this Government". Following this vision, India Year Book 2017 provided a treasure trove of knowledge with authentic information about India, surveying the country from the prism of accuracy. It was essential to bring out books, journals, magazines in all National languages in order to reach out to new generation. 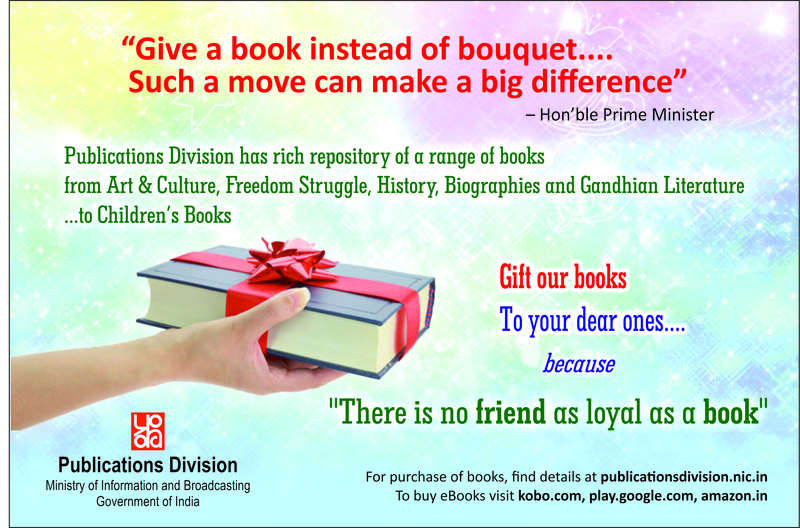 The Publications Division provided the ideal platform to inculcate the reading habits amongst the people by publishing books on diverse aspects of Indian Panorama and Heritage Minister for Information & Broadcasting Shri Venkaiah Naidu mentioned this at the release function of Annual Reference India 2017/Bharat 2017 and launch of online digital Library by Publications Division in New Delhi recently. The Minister while releasing the electronic version of the Annual India Year Book, said that the e-version provided latest technical features and conformed to the best international standards. The e-book had a variety of reader-friendly features like searchable content, referencing, and was priced at 25% less than the print books. He added that taking forward the Governments digital push, the Publications Division has converted over 750 books into digital format, and is poised to meet the 12th Plan Scheme target of digitizing 1000 books by end of March 2017. The Minister also launched the Online Digital Library created by Publications Division which has a repository of over 750 books, with a wide range of titles that would be available for free browsing to visitors at DPD Book Gallery. Shri Venkaiah Naidu emphasized the importance of digital way of life and its benefits. He mentioned that digital transfer of knowledge, digital transfer of currency would ensure arresting of black money and corruption in the country. The bilingual reference annuals Bharat 2017 and India 2017 have over the years, been hailed as being the authentic and comprehensive source of information on policies / programmes and activities of the Ministries and Departments of the Government of India. A prestigious volume brought out by the Publications Division based on the material compiled by the New Media Wing, India 2017 has entered its 61st year of publication. 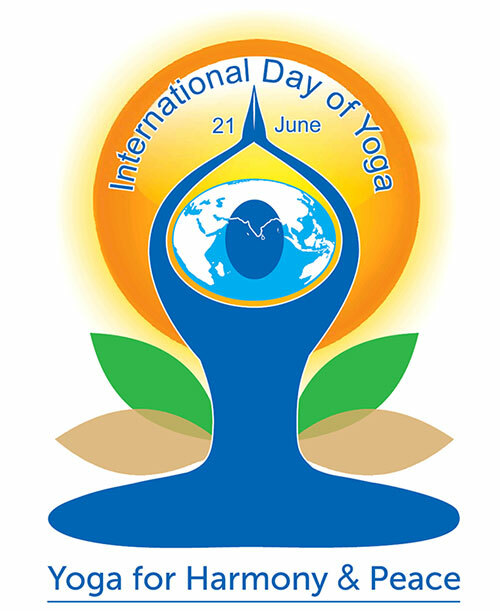 industry to infrastructure, science and technology to human resource development, art and culture, polity, economy, health, defence, education and mass communication. The Annual also gives a glimpse of flagship programmes of the Government, important events of the year and the story of Indian States and Union Territories with their vital statistics. Priced at Rs 350, the p-book is available for sale at 8 Sales Emporia and 3 regional offices of DPD and its authorized agents across the country. List of Sales emporia and authorized agents is available on DPD's website www.publicationsdivision.nic.in. The copy can also be booked by sending an email to businesswng@gmail.com. The book is also available on Bharatkosh portal which can be accessed through Publications Division's website. 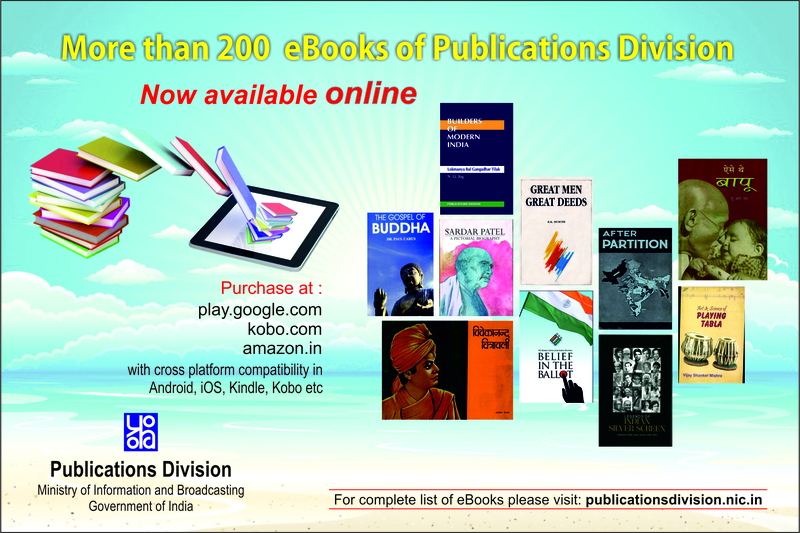 The prestigious Reference Annual INDIA 2017 is also available as e- book in the most commonly used ePUB format, and can be accessed on a variety of devices such as tablets, computers, e-readers and smartphones. The e-book conforms to the best international standards technically and is a faithful replication of the print version. The e-INDIA has a variety of reader-friendly features for better communication like hyperlinks, highlighting, book marking and interactivity, besides being easy to share on social media. The books offer features like searchable content, referencing, good readability, assured back up and retrieval. As young people preparing for exams, researchers, analysts etc. don't have the time to wait for delivery of print books, e-books are a wonderful option. The e- books are especially important for those remote areas where sales and delivery of print books is a cumbersome and lengthy process. Priced at Rs. 263, the e-book is available on leading e-Commerce platforms Amazon.in, Google Play Books and Kobo.com. They are easy to download - just go to the website of the e-retailer and search for India 2017. The rest is an easy hand-holding experience.